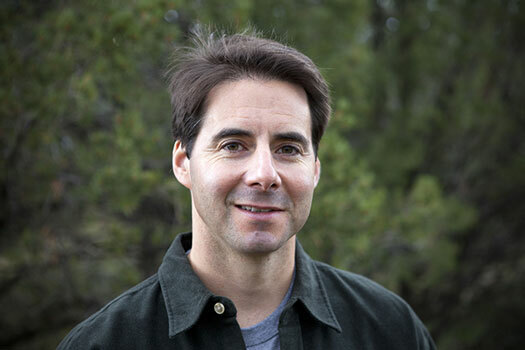 Peter Hessler spent the early part of his writing career in China. His first book, River Town: Two Years on the Yangtze, chronicles his stint in the Peace Corps in the Nineties, when the country was just beginning to open up to foreigners. In 2000, Peter joined The New Yorker as a staff writer. He became was the magazine’s correspondent in Beijing, writing about everything from the Three Gorges Dam to basketball. “People have this idea that writing is a gift, and they underestimate how much of it is a craft,” he says. After nearly a decade in China, Peter decided to turn his writerly attention to the Arab World, and moved to Cairo with his family. While his young daughters are naturally acquiring Arabic, Peter and his wife, fellow author Leslie Chang, continue to work hard to develop fluency. A summer as Kathryn Davis Fellows for Peace in the Arabic School, just before their move, gave them a good start. Peter and Leslie were impressed with the rigor of the Middlebury program—and pleased with the gains they were able to make in one summer. With turmoil rocking Egypt in recent months, Peter’s job leaves him little time for language study. His reporting follows the ongoing political drama in Egypt, including a recent feature for the magazine about the military takeover and removal of President Morsi. While he still uses a translator for most projects, Peter is now able to do a lot of reporting on his own. At Morsi’s recent trial, the translator was not permitted. But Peter was able to follow the proceedings unassisted—and even conduct an interview with one of Morsi’s lawyers. Not bad for someone who entered the Arabic School as a beginner only two years ago.